After I (Lee) exposed my favourite albums, and they were all projects that came in 2000’s or 10’s – I asked Suood, Phil, Akash and Matt to recommend albums from the apparent golden era’s of Hip Hop. The twitter conversation soon led to Phil proposing a Hip Hop book club – and here is SPLAM (we struggled for a name, but using our initials stuck). Using Onyx’s S(p)lam as an unofficial theme song, we are going to take turns to recommend one another an album to listen to, and then post our opinions in a blog post. We are then to debate our opinions on Twitter, and invite other Hip Hop enthusiasts to join in the conversation using the #SPLAM. “I was recently contacted by a group of fellow writers to contribute in a new series where we review classic albums. Sounds simple, right? t is…just as simple as Stevie Wonder taking a road test. Naturally, I was up for the challenge. I was 12 years old when Lauryn Hill parted from The Fugees and released her debut solo album, The Miseducation of Lauryn Hill. At the time, I had no clue what “neo-soul” meant, I simply went in blindfold and eager to hear the beautifully talented Miss Hill stand in her own light. Unbeknownst to me, neo soul would become one of my preferred genres immediately after the first listen. It’s impossible to review an album of this significance in roughly 200 words, so I’ll just get to the point – if you’re under 24 and haven’t heard this yet, it’s ok. There’s still time to redeem yourself. If you’re over 24 and haven’t heard this, you sir must be some sort of sewer-dwelling lost Ninja Turtle. There is no excuse for you. 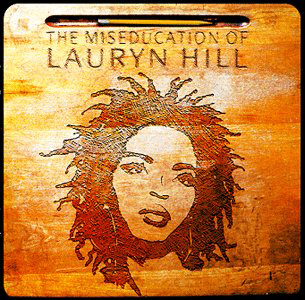 The Miseducation of Lauryn Hill is, to date, one of the most powerfully emotional Hip Hop albums ever to exist – this cannot be debated. If you read a bad review of it in the course of your life, find the person who wrote it and ask them when/how they had their souls removed. “The record that brought Lauryn Hill to the world’s attention – The Fugees’ “The Score” – was the first Hip Hop album I ever bough and remains a favourite of mine to this day, so looking back I’m not sure why I didn’t pick up Miseducation on its release. But when I did get it, around 2005, it proved to be worth the wait. It’s very different from The Score, as Lauryn allows a much more personal side to shine through especially on tracks like To Zion, but she expertly demonstrates why she’s the only artist I can think of who can lay claim to bring truly world class in both singing and rapping. From the hot flames she spits on Lost Ones to the powerful singing on the powerful anthem Doo Wop (That Thing) and her excellent rendition of Can’t Take My Eyes Of You, L Boogie doesn’t miss a step technically. There are a few minor drawbacks that stop Miseducation from being one of my all time favourites though – the classroom interludes, while cute at first, break up the action much too often without adding enough to the music on repeated listens. I also feel like the high points are so high that any lows really drag for me, to the extent that I often turn it off before its 77 minutes are up. These are just personal niggles though and they won’t stop me calling this a classic album – it’s just a pity that Lauryn Hill didn’t feel like blessing the world with any more. “I’m guilty of rarely checking out the classics outside of the G.O.A.T’s. By which I mean, I listened to Illmatic and Blueprint (preferring Stillmatic and The Black Album), but never anything from Ice Cube or Onyx. With The Miseducation Of Lauryn Hill, I fucked up. In a Top 5 conversation a while back, someone mentioned Lauryn Hill and I laughed her off because of the lack of follow up albums, and whilst I still don’t think she’s top 5, I’m no longer laughing. I’m mournful. Not only because we’ll likely never get a sophomore release but also because I feel like I’m not listening to the debut properly. Spotify streaming just isn’t doing it justice. This is the type of album that needs a vinyl or to be heard live. The infectious instrumentation, raw lyricism and the deft ability to both sing and spit at will without any dip in form, makes this an undoubted classic. The length is an issue but more of an issue of me, I just don’t have the time to sit through an album that’s almost an hour and a half long, and that’s fucked up. I wish I had the time to sit with and appreciate this masterpiece for longer, but it’s just not something I can do. “One of the most enjoyable albums I’ve heard. I regretted not listening to it earlier. My favourite aspect of this album is that it’s simple, in terms of production and it shines due to it simplicity. The soulful vocals provided by Ms. Hill along with her awe inspiring song writing skills and her versatile flow compliment the skillful instrumentation perfectly. With skits/discussions sprinkled all over the album, Lauryn Hill weaves her message about the importance of love before and after almost every track, using them to set the tone and content matter. This album, as a whole, is something I wouldn’t bump on a regular basis, but certain tracks such as Ex Factor, I Used to Love Him and To Zion are songs which I’ll be playing for a long, long time. I felt that the album reached a ‘lull’ by the time When It Hurts So Bad (also my least favourite track) came around. That and the length of the album are the only negative things that struck me. Since we all pretty much agree that this is a great album, it’ll be interesting if anyone isn’t a fan of The Miseducation of Lauryn Hill? Check back to TheRootMusic for the next edition of SPLAM in which we’ll being sharing our thoughts on Suood’s pick – The Clipse’s Lord Willin’. Join in the conversation on Twitter using #SPLAM.